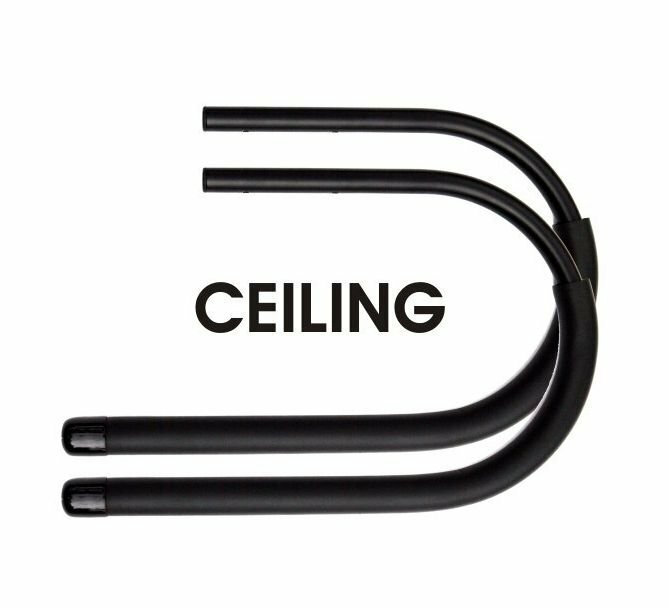 The Nice Rack Ceiling Surfboard Rack is super strong. These HEAVY DUTY racks are built to support longboard surfboards. Equiped with quality nitrile foam for soft cushioning and powder-coated for moisture protection, these racks are durable and weather resistant. Perfect for indoor/outdoor use. Sold in pairs.